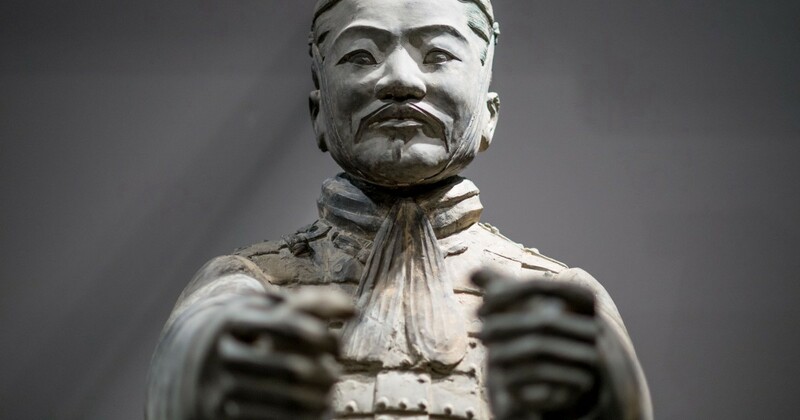 Chinese authorities are asking that harsh punishment be handed out to a man who snatched off the thumb of a Terracotta warrior that was on display at a Philadelphia museum. The 24-year-old man named Michael Rohana stole the ancient statue’s digit during an after-hours “ugly sweater party” at the Franklin Institute on December 21st. The exhibit called “Terracotta Warriors of the First Emperor” was closed at the time, however, the door was open with only a black rope held up by two stanchions separating Rohana from 10 terracotta soldiers, on loan from China, that were made more than 2,000 years ago to guard China’s first emperor, Qin Shi Huang, in the afterlife. Once inside, Rohana used his smartphone camera’s flashlight to look around and snapped a selfie with his arm around one of the warriors. Before leaving, he pried off the $4.5 million statue’s left thumb and concealed it inside his pocket. It took two weeks for someone to finally notice that the thumb had gone missing. A short time later, an FBI agent knocked on Rohana’s door in Bear, Delaware, asking about the thumb. Rohana then went to his bedroom and pulled out the artifact from the top right drawer of his desk. Rohana has been charged with the theft of a major artwork from a museum, concealment of a major artwork stolen from a museum, and interstate transportation of stolen property, according to a FBI affidavit that was published last week. At the moment, he is out of custody on bail. 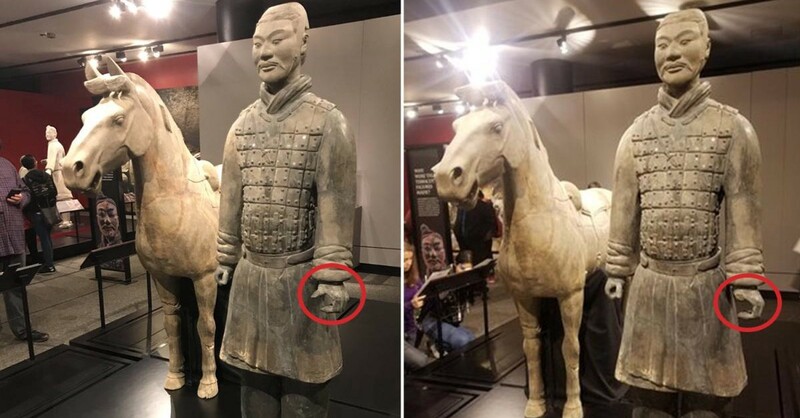 Since news of Rohana’s arrest went viral, the Shaanxi Cultural Heritage Promotion Center (陕西省文物交流中心), which loaned out the statues, has reportedly asked for compensation from the Franklin Institute and proposed sending over a pair of experts to evaluate the damage done to the warrior. In addition, an unnamed official from the center has declared that Rohana should be “severely punished” for the theft and destruction of one of China’s national treasures. 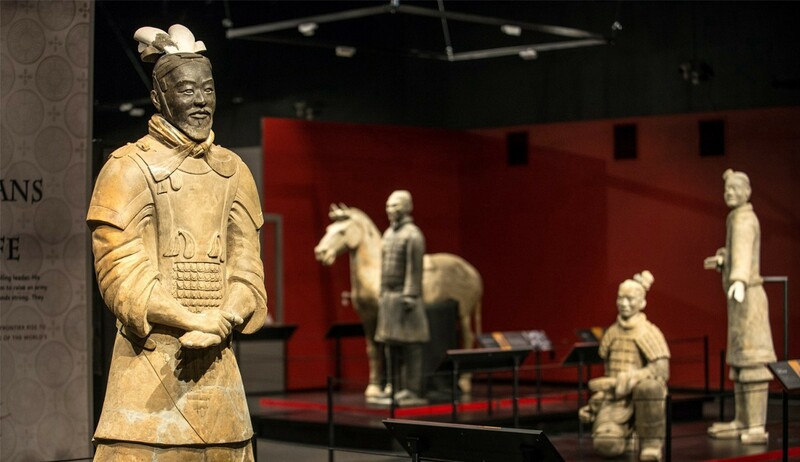 The Terracotta Warriors exhibit is scheduled to continue at the Franklin Institute until March 4th. Reportedly, the museum has beefed up its security.